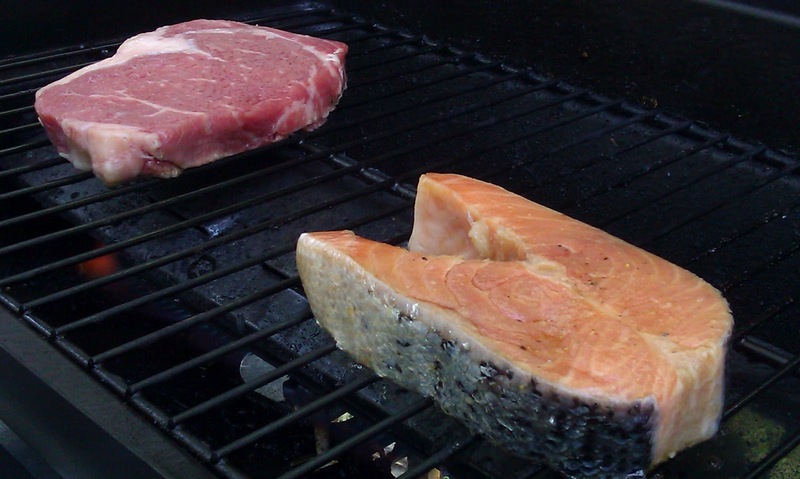 I know fish is good for you, and I've even started to like some of the milder tasting fish over the years (tilapia, whitefish), so while we were out I picked up a few filets and a salmon steak. It's been years since I've had salmon and I never liked it before, but I thought I'd give it another try. I found what seemed like a tasty marinade and thought grilling might help mask the strong salmon flavor. 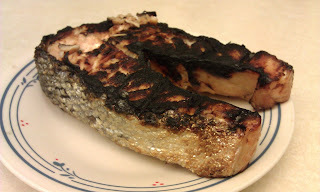 Of course, I'm really terrible at trusting fish is done when it's done, so I overcooked it (as I do all fish I make). The marinade really did help. The salmon tasted pretty good (as long as I didn't think too hard about the fact that it was salmon). I think I might actually try making it again sometime.